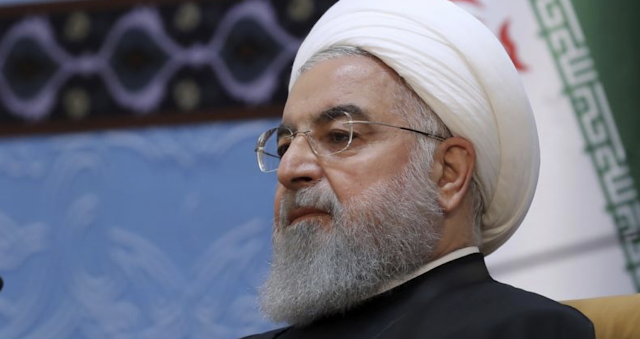 Iranian President Hassan Rouhani on Saturday called on Muslims including those in Saudi Arabia, Iran's regional rival to oppose the United States. He also labeled Israel a "fake regime" created by Western nations, and likened its formation following World War II to "a cancerous tumor in the region." Speaking at the annual Islamic Unity Conference in Tehran, Rouhani said the U.S. wants to enslave the Middle East. He said regional Muslim nations should stop "rolling out the red carpet for criminals," a thinly-veiled criticism of Saudi Arabia and other regional nations that have close ties to the U.S.